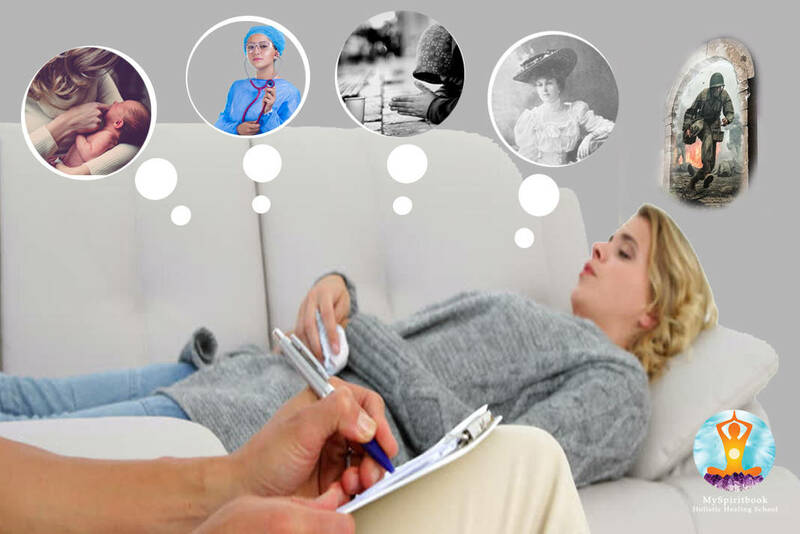 Past Life Regression therapy is a step-by-step journey into the deeper layers of human consciousness, where events and memories of our present and previous lives are stored as “patterns”. This technique will take an individual back through time to their present and previous lives by accessing these hidden memories in the subconscious mind. The aim of this therapy is to recall events of the past, to use the revealed information and to make positive changes in life. Have you every wondered if you’ve lived before? Have you ever felt an incredibly deep connection with a person you’ve just met? Have you been to somewhere for the first time and you felt that you’d been there before? Many people try past life regression therapy simply out of curiosity to see who they were in their previous lives. Although, for most, it is a path that embraces personal growth and healing. There are many future benefits from exploring our past. When we look back on our past, we experience and then we understand subconscious memories and patterns. The healing comes when we avoid repeating mistakes in our present life. These repetitive patterns are karmic as a result of our previous actions which exist until we learned the lessons we are meant to learn from their recurrence. We carry the memories of our past lives as an energetic charge in our subconscious mind that continue effect our present life. Unfinished businesses, traumatic and sudden deaths, vows, accomplishments, success or failures, love, emotional debt, guilt. These charges of the past set up patterns which are continually repeated in our present life. The patterns can be positive or negative and they can effect one’s health, physical body, relationships, behaviors etc. Positive patterns feed your life purpose and talents. Negative patterns fuel destructive behavior, cause injury and block your life in several ways. During the therapy, you can make the memories conscious and release the patterns that no longer serve you. It’s similar to meditation where you are in an altered consciousness, so you can’t get lost in the past. Past life regression therapy isn’t equal to psychic or past life reading which doesn’t have a lot of therapeutic effects. What Happens On an Individual Past Life Regression Therapy? An individual past life regression session takes approximately 2-3 hours. We talk about why we need the therapy, what obstacles we have so the therapist can guide the questions and energies more efficiently during the session. Then the therapist guides a thought massage which leads us into a very deep meditation where the energies and our subconscious mind takes us back into the present and/or previous lives. We might experience our memories as a vivid movie or see vague flashes and images. We might hear and smell things as well. What Happens On a Group Past Life Regression Session? We start the session with an energetic cleansing that purifies, opens the chakras and prepare the participant for the travels. Participants are sitting on a chair by wearing comfortable clothes (no belt, hair-clips). It is recommended to meditate at least the previous day and prepare ourselves for this day. On the day of the therapy participant are not allowed to drink alcohol. After the cleansing and short introduction to the past life regression therapy, participants share the reason why they came to this therapy and questions if they are any. Then the therapist guides a thought massage which put participants even more at ease. From this very relaxed state we go into the first travel which lasts about 5-10 minutes then we come back and each participant share their own experiences. During a group therapy we usually have 6-8 travels, depending on how many participants are involved. It might be an overwhelming and emotionally charged day, so participant should get enough sleep the night before the therapy. When we are tired, our sensors work less. The therapist finishes the day with a general karmic cleansing meditation that help the participant to digest and build in the received information, images and healing energies into his/her life. Find more upcoming events here. What Are the Benefits of a Regression Therapy? Over the years I experienced many times in a group therapy, that we can learn so much from each other just by listening the different life stories. Almost every time I had a therapy with Anita Kardos, my teacher, I had specific questions that needed to be answered. I remember in August 2005, when I had my first group therapy with her, I was sitting there as a newcomer not knowing anything about what might happen. At the end of the therapy, when we resumed the day, I couldn’t say much because I was rather feeling than seeing things. I continued the group and individual therapies, I saw and felt always more and more. On each therapy, images from my former life showed up. On a next session, I saw vivid images from my former life, I saw, felt, heard, smelt, so-so much. It was so overwhelming, but not scary. It shook me to the core, I was sobbing like a baby. So my teacher told me to take a 30-minute of walk and get some fresh air. Some people get upset when they don’t see enough at a time. I’m so happy I didn’t see these overwhelming images during my first therapy because I would have not been able to handle them. This time, I was ready energetically and mentally to see them and release the pent-up emotions and those traumas that still effected my current life. I do believe in a steady and efficient evolution where my mind gets stronger. So as a therapist I don’t like pushing my patients but I gently guide them to experience whatever they are ready for. I learned this technique from Anita Kardos in 2008-2009 in Budapest and has been doing individual and group past life regression therapies ever since. If you want to book a private past life regression session, or you have further questions, please contact me here. I’d be glad of your help. I’ve always felt like something is missing in my life but I can’t be certain what it is until, one night, my friend and I have discussed this topic over dinner. I’m glad that this therapy has helped and benefited you a lot, and I’m very curious to try it myself. I hope that I find the enlightenment that I am searching for and I could finally find that missing thing in my life and start anew.